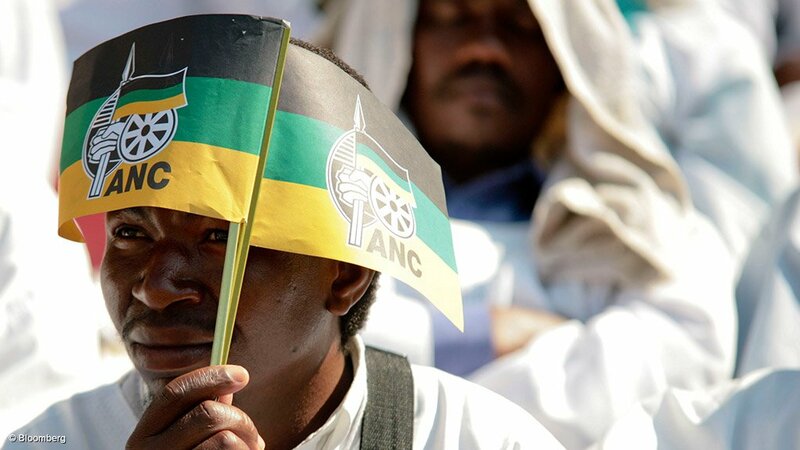 The African National Congress (ANC) submitted its list of candidates for provincial legislatures and Parliament to the Electoral Commission of South Africa (IEC) on Tuesday, secretary general Gwede Mantashe said. All 19 lists, nine for provincial legislature, nine for province to national and one National Assembly list were submitted before the Wednesday deadline, he told reporters in Centurion, south of Pretoria. The National Assembly consists of 400 members. Half the members are elected from the national list and the remaining 200 from the nine provincial to national lists. Number one on Gauteng's province to national list was current Arts and Culture Minister Paul Mashatile. Former national police commissioner Bheki Cele was number one on KwaZulu-Natal's province to national list. In the North West, deputy speaker in the legislature Philemon Mapulane was number one on the province to national list, and in Mpumalanga the ANC's deputy chief whip Doris Dlakude was number one. Deputy Police Minister Maggie Sotyu was number one on the Free State province to national list. MP Mary-Ann Dunjwa was number one on the Eastern Cape's province to national list. Northern Cape Transport MEC Patrick Mabilo was number one on the province's list for National Assembly. Yolande Botha, who is facing corruption charges along with Northern Cape ANC chairperson John Block, was number five on the province to national list. Nine lists of candidates were also submitted for provincial legislatures. The position of a candidate's name on the list did not mean they would be the premier candidate. Each province had to submit three names for the position of premier and the ANC's national executive committee would make a final decision. On the Gauteng legislature list, the party's provincial chairperson David Makhura took the number one position, followed by education MEC Barbara Creecy in second and local government MEC Lentheng Mekgwe in third. Current Gauteng premier Nomvula Mokonyane was number 11 on the list. KwaZulu-Natal's provincial legislature list was topped by co-operative government MEC Nomsa Dube. She was followed by current premier Senzo Mchunu in second and finance MEC Ina Cronje in third. The ANC's deputy provincial chairperson Willies Mchunu was number four on the list. Deputy International Relations Minister Marius Fransman was number one on the Western Cape's provincial legislature list. ANC provincial secretary Khaya Magaxa was number two on the list and special advisor to Trevor Manuel, Cameron Dugmore number three. Deputy Human Settlements Minister Zoliswa Kota-Fredericks was number one on the Western Cape's province to national list. Topping the North West's provincial legislature list were current chairman Supra Mahumapelo, social development MEC Collen Maine and sport MEC Tebogo Modise respectively. Current premier Thandi Modise was not on the ANC's provincial list or its province to national list. In Mpumalanga, current premier David Mabuza was number one on the provincial legislature list. He was followed by Boy Dube and co-operative governance MEC Andries Gamede. Free State premier Ace Magashule topped his province's legislature list. Position two and three were held by public works MEC Sisi Mabe and education MEC Tate Makgoe. Current Limpopo premier Stan Mathabatha had the number one spot on his province's legislature list. Chairperson of the ANC's task team in Limpopo, Falaza Mdaka was number two on the list and transport MEC Lehlogonolo Masoga number three. In the Eastern Cape, safety liaison MEC Helen Sauls-August was number one on the list, local government MEC Mlibo Qoboshiyane number two and finance MEC Phumulo Masualle number three. Current Eastern Cape premier Noxolo Kiviet was 23rd on the list. In the Northern Cape, co-operative governance MEC Kenny Mmoiemang was number one on the provincial legislature list. Number two on the list was Block. Block is currently facing charges of fraud and corruption in the Kimberley High Court . Current Northern Cape premier Sylvia Lucas was number three on the provincial list. Alvin Botes, who is facing charges along with Block, was number four on the list. Download the National Assembly candidate list above.